Spa for two or model for the whole family? Our main ethic idea is to always prioritize and please our clients. That is the main goal of our business. As a part of our services, we are able to offer maximum and always deliver our products in the highest quality. We represent manufacturers who are known to be the true specialists in their area and who support their own product development. In private or commercial area we introduce products and equipment which are exclusively presented in a local market only by our company. The main area of our sale: home and commercial spa, family and outdoor whirpools, SWIM SPA and Finnish saunas. Our SWIM SPAs are offered also as combined swimming pools with a separated whirpool. Combination of whirpool and SWIM SPA is no longer a compromise. We look forward to seeing you as well as we would like to thank you for your favour. Whirpool Canadian Spa International ® in unique combination of sheathing and floor OLD WOOD with technology LACAN. Have you ever tried to find out why the whirpools Canadian Spa Internationals® are so inspiring for the others? Our main goal is to offer the best available products to our customers and partners. Our providers focus on development and manufacturing of the most advanced technologies and components in the field of private and commercial spa and wellness. The leading products we sell are family whirlpool baths for private use, Finnish saunas, and dual swimming pools with a massage compartment. We do our best to offer the best possible warranty and post-warranty service and technical support, fully professional customer care, and reliable technical base. Every customers the best customer service and individual support, refardless of his or her purchase value. It is possible to come and see all offered models in our showrooms. We display atypical models, such as the Manta whirlpool bath, as well as our bestsellers Dephina or Nemo. 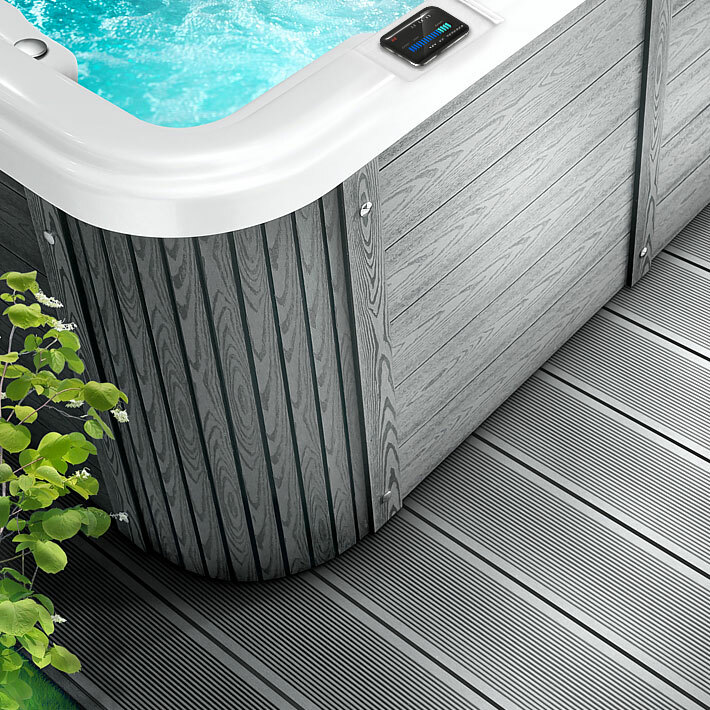 The king size range is represented by the largest dual swimming and welness models called Swim SPA. We give full measure to keep correct long-term relationship with our clients. Every client deserves the best in therms of quality and service. We always observe a business code. 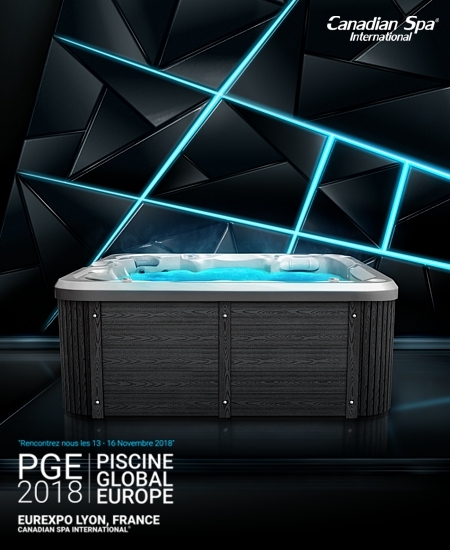 If you are looking for a whirlpool bath or a swim spa ready to sell in Prague or Ostrava, visit our showroom and see our products yourself. 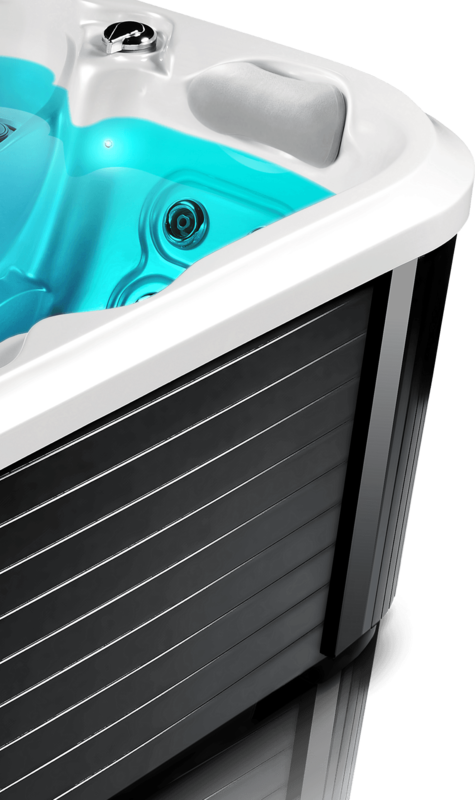 All bestselling outdoor whirlpool baths are available in several popular color finishes. It all starts with a purchase… … but this is not the end. Every purchase means a long-term agreement and a commitment.